I love her. But man. 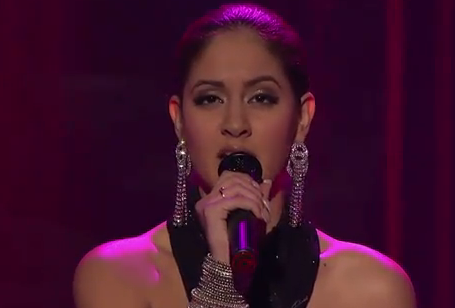 Karen Rodriguez gave the most painful performance of the night on American Idol trying to singing, I Could Fall In Love…. we were all left squirming in our seats and the judges struggled to be encouraging.